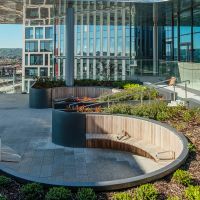 A bespoke Foster + Partners designed roof garden is commissioned for the new BBC Wales headquarters building in Cardiff. 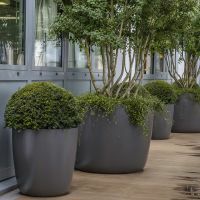 IOTA’s Boulevard planters are selected for the recently remodeled Royal Opera House, at the heart of Covent Garden in London. 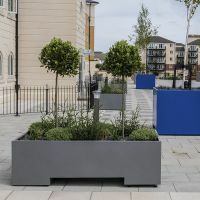 Bespoke steel planters are commissioned for the communal podium deck at Hamilton Quay, in Sovereign Harbour, Eastbourne. 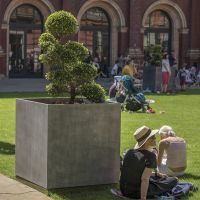 Bespoke Zinc planters are commissioned for the John Madejski gardens at the V&A Museum in London. 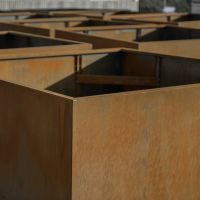 Bespoke steel planters are commissioned for No. 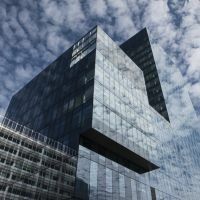 1 Spinningfields, Manchester’s tallest commercial office building. 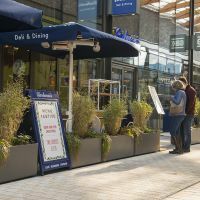 IOTA supplies a complete package of Corten Steel street furniture to the Tyseley Wharf development in Birmingham. 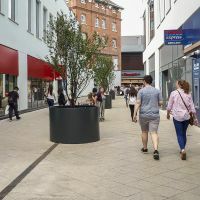 IOTA’s Boulevard planters are selected for The Lexicon shopping centre, at the heart of the £240m town centre regeneration of Bracknell’s Northern Retail Quarter. 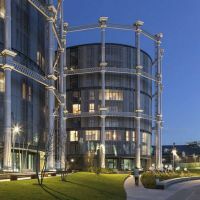 Bespoke Corten Steel planters are commissioned for the iconic Gasholders London development, in the heart of the King’s Cross urban regeneration zone. 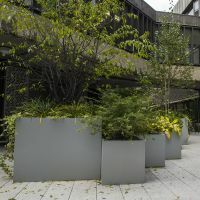 Bespoke steel planters are commissioned for communal courtyard gardens at City, University of London.